Below is a piece (edited and somewhat embellished) that I wrote in the "Scenes" newsletter in the Fall of 1989. I follow that with comments about three sessions I attended in Denver. I spent the better part of my summer vacation teaching a computers in education course at a local college. 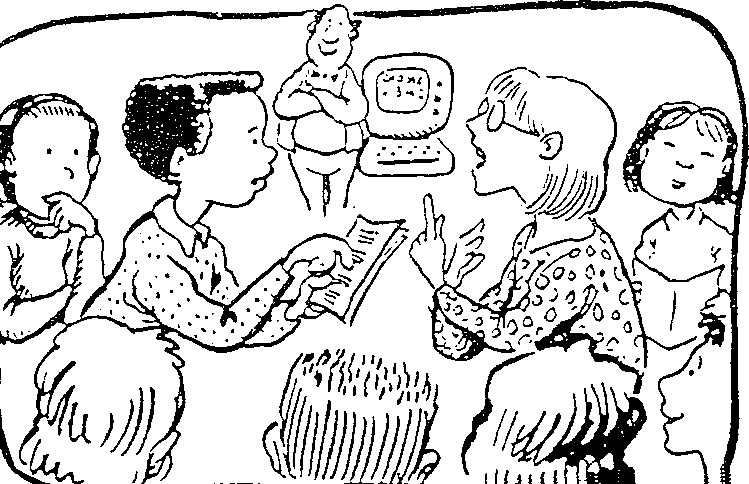 One of the topics I discussed with my students was the influence that three computer educators (who I refered to as gurus) had on how computers are used in schools. Each of them has a unique message about how to teach children with computers. Here's a short summary of their points of view along with what I think is an appropriate rallying slogan. 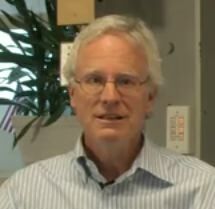 Then there is Tom Snyder of Tom Snyder Productions who is considered by many as the champion of the "one computer classroom." 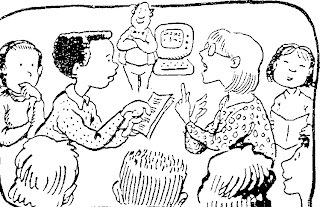 He believes that since the classroom is the domain of the teacher it makes sense to give the computer to the teacher and have her use software that is designed to be used by one teacher working with large group. This point of view has made him very popular with teachers. The "father of Logo" believes that children should program computers rather than the computer program them. If you are a veteran Logo user then you probably have seen this quote before, but just in case you haven't here it is again. 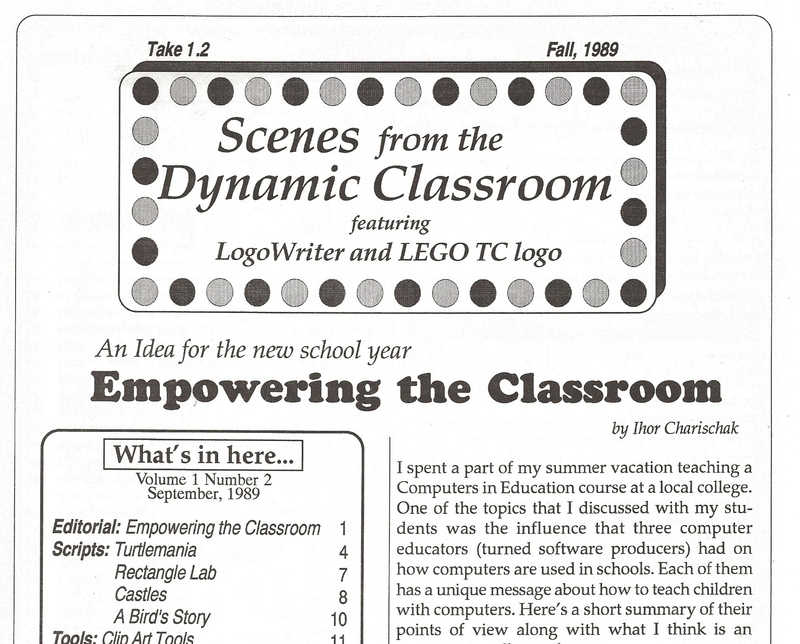 So the key for Papert is to put the student in charge of the computer and presumably a love affair with learning will emerge. Patrick Suppes is a pioneer and leading proponent of using computers for computer-assisted instruction who believes that students can learn best if the computer controls the learning through questions with appropriate feedback and monitors their progress. His work paved the way for the CAI (Computer Assisted Instruction) movement in schools. In the early days of microcomputers it was fashionable for the Logo supporters to argue that the Snyders and Suppes of the world were not using computers effectively. But times and people have changed. 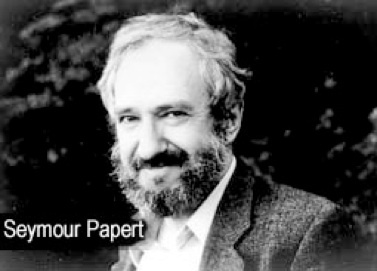 For example at the NECC conference (Boston, June, 1989) Seymour Papert shared a session with Bob Tinker (a BASIC sympathizer) and there wasn't a hint of disagreement between them. What does this mean? Are the debates over? No, they will still continue, but I think what's happening is that industry is maturing and educators are acknowledging that there is more than one way to educate children. It's not that unusual to find in a typical school district Logo being used on the elementary and junior high school levels side by side with Snyder Productions software and all across the district you will find CAI. So what does this mean for you the teacher should you empower the student, the computer or the teacher? The answer is you empower all three. So the right slogan would be: empower the classroom with dynamic uses of technology that empower students to want to learn. That was what I wrote in 1989. A lot has changed since then, but the spirit of the three gurus lives on. At the conference I thought about these gurus as I listened to younger voices. In particular, Karim Ani and Dan Meyer. Tom Snyder's vision of empowering the teacher came across in both cases. Karim's talk Keeping It Real: Teaching Math through Real-World Topics highlighted the importance of connecting math through real world connections based on questions that would interest students. Dan Meyer in his Tools and Technology for Modern Math Teaching presentation challenged the teachers in the audience to come up with a Tech/Ed manifesto that would make their teaching more relevant and perplexing for students. Dan defines the state of perplexity as this awesome confluence of not knowing, wanting to know and having the belief that the solution is graspable. So creating an environment where students eagerly embrace perplexity is an ideal condition for deep learning and self motivation. 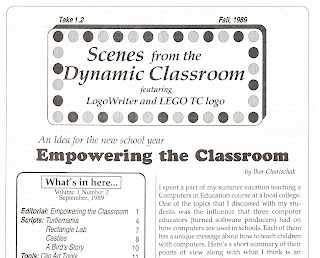 Definitely an important attribute of the dynamic classroom which Tom Snyder promoted. 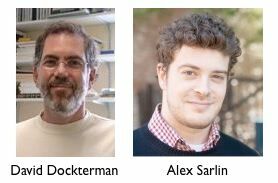 The modern version of Suppes that the computer can make a huge difference was echoed by Alex Sarlin and David Dockterman in The Gamification of Math: Research, Gaming Theory, and Math Instruction that I wrote about in my previous blog. Suppes believed that behaviorist CAI type of programs could significantly change learning, but the computer is capable of much more than just delivering drill and practice. It can create scenarios that engages children to want to learn using for example gamification mechanics. There is much promise here where the computer does the heavy lifting. But will it motivate student's desire to be creative and fall in love with math (as Papert believed was possible) if students are left to their own devices and have the autonomy to construct their own learning by building interesting simulations and gizmos themselves. Programming which requires computational thinking is making a comeback and is becoming an integral part of student construction of personal knowledge. The opportunity to learn (that Uri Treisman referred to in his talk) is greatly enhanced by the emerging technologies and communities that embrace it to empower children to be better learners and teaching becomes more focused on supporting that learning. Clay Christensen of (Disrupting Class fame) writes (1) that "…there are two core jobs that most student try to do every day: They want to feel successful and make progress, and they want to have fun with their friends." This is foundational for what I call the "Wannado" curriculum. Larry Cuban (2) who usually reminds us how tech has flopped in classrooms in the past (For evidence see his slide show - a kind of trail of broken dreams) says the following in his recent book (3) "If there is hope for the future it will happen in places where teachers collaborate and create schools where teaching and learning [are] prized." he writes. "[But] will such a ground level strategy of building structures that enable teachers and administrators to work together in creating cultures of learning in classrooms, schools, and districts lead to good and successful teaching and then successful student learning? I hope so - but in all honesty, I do not know." I'm optimistic that it will and someday we can all look back and see how these young linchpins like Dan Meyer, Karim Ani and Alex Sarlin contributed to this promised land. 3. L. Cuban, "Inside the Black Box of Classroom Practice: Change Without Reform in American Education" (Harvard Education Press, Cambridge MA) p. 185.